Feeling foggy and forgetful? Here’s what you should do. Has it ever happened to you that you were looking for your glasses all around the house only to find them resting on the tip of your nose? Or while writing your school essay, you lost your train of thought and came to an abrupt halt as you struggled to find the correct word? 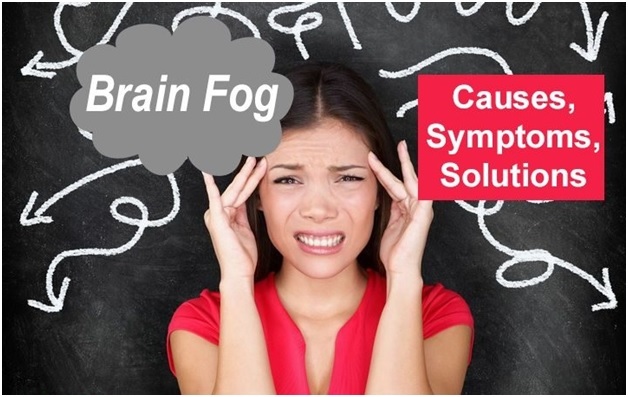 If you have been experiencing frequent phases of fogginess and forgetfulness lately, you might be going through what’s typically referred to as ‘brain fog’. Also known as brain fatigue, this is commonly associated with symptoms of confusion, forgetfulness, lack of attention and mental clarity. It goes without saying that having a proper sleep cycle is as important as breathing to stay alive and fully functional. Waking up from your sleep is the first thing you do when your day starts and if that itself isn’t proper, the rest of your day is likely to follow suit. Insufficient sleep will undoubtedly cause a lack of attention, feelings of absentmindedness and confusion, which will adversely impact all your day-to-day work activities, and further strain your brain. You should aim for at least 8 hours of sleep each night, because when you’re well and adequately rested, the hormones in your brain stay in balance. According to a study by the University of Pennsylvania, people sleeping for 6 hours, for multiple nights in a row, had the same deficits in their performance levels as those who didn’t sleep for two nights straight. Hence, you should include a healthy sleep routine in your life because sleep is like your brain’s cleaning cycle that prevents brain fog and boosts your energy levels. Like sleep, your diet plays an equally important role in your everyday functioning. The food that you consume each day can impact your thought process in numerous ways. So, if there’s too much of refined carbohydrates like sugar in your diet, it is time to cut it down. Sugar can cause severe fluctuations in your blood sugar levels and since your brain consumes the sugar glucose for energy, extremely low levels of it can lead to mental strain, confusion and weakened judgment. To prevent all that from happening, you need to cut back on processed foods that are packed with sugar and artificial sweeteners, which is one of the worst food additives for your brain. Try to incorporate ‘real’ and unprocessed foods in your diet instead like sweet potatoes, fruits, dairy products, etc.which provide your body with natural sugars and carbohydrates. This will give you the energy you need to stay fresh and easily remember things. While the very thought of exercising when you already feel so foggy and tired may come across as exhausting, the very act can help bust stress and give unexpected bump to your energy levels. In fact, exercise releases certain natural endorphins in the body which help uplift your mood and give a boost of energy to your brain. According to studies conducted on the effects of exercising, it has been discovered that they even outdo medications in terms of improving people’s cognitive function. It also helps them think better by stimulating the levels of BDNF (Brain-derived neurotrophic factor), which is required by the body to generate cell growth. Moreover, exercising also helps to curtail future memory problems by 50%. Hence, be it just walking a mile every day or sweating it out in the gym, make sure to work out for a few minutes every day or on alternate days, to prevent your brain from wearing out. While you cut down on your sugar intake to control your blood sugar level, you need to simultaneously load your diet with a steady supply of proteins and fats. As a matter of fact, we all need a constant supply of amino acids and fatty acids in our body as they are essential for the brain to function and think clearly. Deficiency of these two components will lead to cognitive decline, among many other problems. For adequate protein intake, you should consume natural, whole proteins found in eggs, fish, meat and numerous dairy products to help boost your memory. For the healthy fats, your diet should include foods like nuts, chia seeds, avocado, eggs and animal products. You particularly need to eatwildfish since it is loaded with omega-3 fatty acids and is an excellent memory booster as proven by numerous studies. While the previously mentioned forms of physical activity and exercise are extremely beneficial for your brain and body, yoga takes these benefits to the next level. It is not just great for your body,it also works as a stress releaser and impacts your brain, memory and concentration levels tremendously. According to a study which involved participants with mild cognitive impairment and problems in thinking, those who did a three-month yoga course had improvements in their visual-spatial memory than those who didn’t. Another study also found that doing a short, 20 minute session of hatha yoga can effectively improve your focus and concentration, and your ability to process information. So, without any further ado, whip out your yoga mat and get rid of that fogginess. If a lack of concentration and vagueness have been persisting for far too long, it might be an indication that you need professional help. You can always go to hospitals or medical centers that provide proper medical help and ensure high standards of health care. Conducting a brain test will probably help you and your doctor understand your symptoms and provide the desired solutions. Doing prior research on your symptoms will also assist you in understanding things better. While brain fog is not a medically recognized term, the symptoms associated with it are real and fairly common among people. Therefore, one needs to ensure proper care in terms of their diet, sleep and everyday routine to prevent their mind and brain from sapping and tiring out. Audrey Throne is a mother and a professional blogger by choice. She has completed her masters in English literature from the University of Birmingham. As a blogger, she wrote quite a few posts on health, technology as well as management.